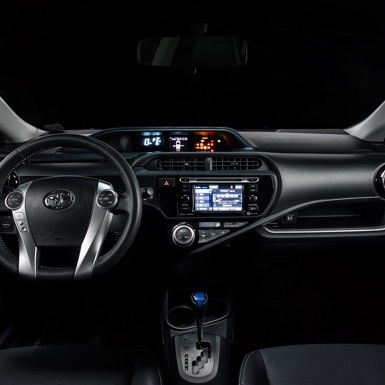 Every Gig is a Toyota® Prius c Hybrid. It's easy to drive and easier on the environment. Gig has room for friends and cargo and is equipped with two bike racks so you can take your other wheels with you. Sometimes more is more. With a roomy interior and seating for five adults, bring some friends along for the ride. Just make sure you call dibs on the radio. Gig is nimble enough to navigate city traffic and tight spaces. Every car is automatic and designed to keep you safe with features like antilock brakes, traction control, and seven airbags. Black cars, green at heart. 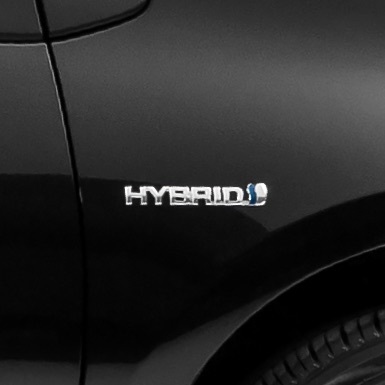 Gig features Toyota Hybrid Synergy Drive® technology. It's clean, powerful, and fuel efficient. And, because the cars recharge on the go, they never need to be plugged in. Gig has enough room for almost anything you want to bring along. 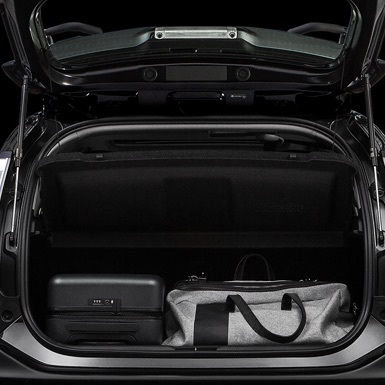 The trunk is roomy, and if that’s not enough, the back seats fold down flat for the really big stuff. Go from one pedal to another. 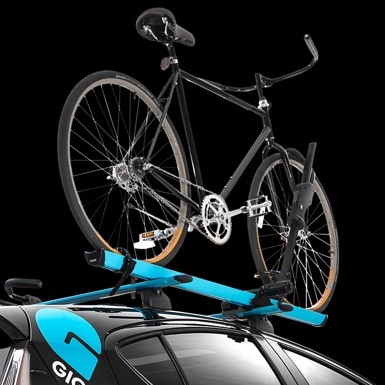 Every Gig is fitted with two Thule® bike racks so you can bring your other set of wheels.